I had moved the SharePoint content databases from one farm to another recently. After the migration was completed I browsed to Central Administration -> Upgrade and Migration -> Review Database Status. The migrated SharePoint content database had the Status as "Database is in compatibility range and upgrade is recommended". This indicated I had to manually upgrade these content databases. 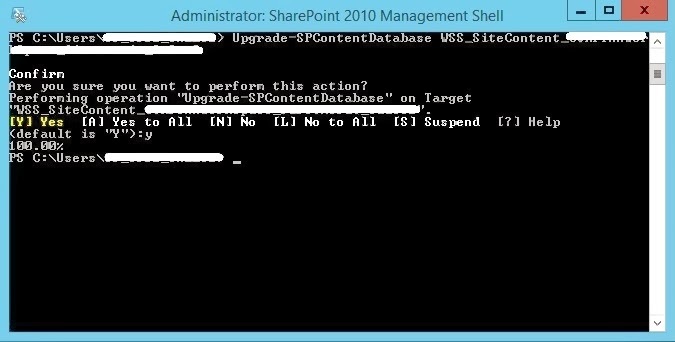 This was because I moved the content databases from SharePoint 2010 SP1 to SharePoint 2010 SP2. On seeing 100 % completion of database upgrade, browse to Central Administration -> Upgrade and Migration -> Review Database Status. Confirm that the content database now has Status as "No action required"